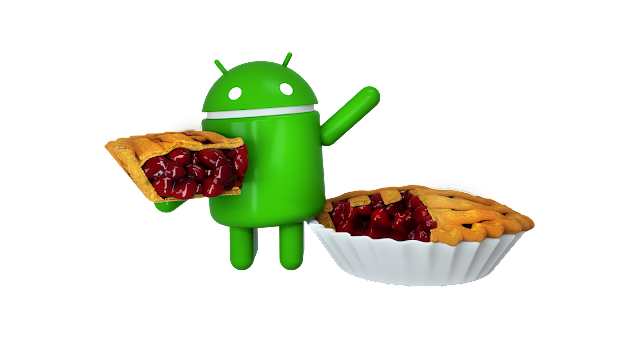 It's official... Android P is Android 9.0, and the P will stand for Pie. I've liked the beta... and the latest release was pretty much a clear indication of what we're getting. So I will be checking my Pixel for the update today (not that I hold out much hope for Canadians getting early access). Hopefully, being on the beta I just have a simple OTA. You can swipe up from anywhere to see full-screen previews of recently used apps and simply tap to jump back into one of them. If you find yourself constantly switching between apps on your Pixel, we’ve got good news for you: Smart Text Selection (which recognizes the meaning of the text you’re selecting and suggests relevant actions) now works on the Overview of your recent apps, making it easier to perform the action you want. Sign up for the beta with the email address you use with Google Play. Accept your invitation to become a beta tester by clicking the link in your welcome email. Starting today, an over-the-air update to Android 9 will begin rolling out to Pixel phones. And devices that participated in the Beta program from Sony Mobile, Xiaomi, HMD Global, Oppo, Vivo, OnePlus, and Essential, as well as all qualifying Android One devices, will receive this update by the end of this fall! We are also working with a number of other partners to launch or upgrade devices to Android 9 this year.